LA PALME, BÉATRICE (baptized Marie-Anne-Béatrice-Alice) (Issaurel), violinist, soprano, and teacher; b. 27 July 1878 in Belœil, Que., daughter of Alexandre Lapalme, a farmer, and Marie-Praxède Le Testu; m. 14 Oct. 1908 Salvator Issaurel in Paris; they had no children; d. 8 Jan. 1921 in Montreal. In 1881 Béatrice La Palme’s family moved to Montreal, where her father worked as a real estate agent and building contractor. Béatrice received her elementary schooling in Hochelaga (Montreal) at the boarding-school run by the Sisters of the Holy Names of Jesus and Mary, and continued her studies at their academy on Rue Cherrier. Introduced to music by her mother and by the nuns, she took lessons from Alexis Contant* and then studied the violin with Charles Lejeune and Frantz Jehin-Prume*. She gave her first recital, with Joseph Saucier as accompanist, on 5 March 1894. In 1895 she was the first person to receive the Strathcona Scholarship (established that year by Donald Alexander Smith*, who became Baron Strathcona and Mount Royal) and it enabled her to attend the Royal College of Music in England for five years. There she studied the violin with the Spanish violinist Enrique Fernández Arbós and began voice lessons with Gustave García. In 1900 she became the first French Canadian woman to be made a corresponding member of the Royal College of Music. After returning to Montreal that year, on 11 October she gave a concert with both violin and vocal numbers. She went back to England and, on the advice of Emma Albani [Lajeunesse], thereafter devoted herself exclusively to singing, which she continued to study with Nelly Rowe, a student of Mme Mathilde Marchesi. Béatrice La Palme presented a vocal recital in Montreal on 17 Oct. 1902, accompanied by Bernadette Dufresne. On 18 July 1903 she began her international career as a soprano at the Royal Opera House in London, performing the role of Musetta in Puccini’s La Bohème. She sang in Lyons, France, during the 1903-4 season and in Royan in the summer of 1904. From September 1905 her career also took her to the Opéra-Comique in Paris, where one of her partners was the French tenor Salvator Issaurel, with whom she had sung in Royan. They were married in 1908 in the church of Notre-Dame-de-Lorette in Paris. 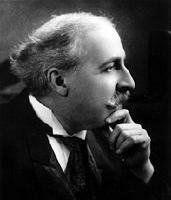 Béatrice played many roles in France and in England, where she sang under the baton of Thomas Beecham. The Issaurels moved to Montreal in July 1911. Béatrice gave a recital at the Monument National on 2 Oct. 1911 (and another the following day at Quebec). Her program included pieces by Gounod, Massenet, Debussy, and Fauré, and several works of the Canadian composer Alfred Laliberté. On this occasion Mayor James John Edmund Guerin presented her with a silver cup to recognize “the Canadian artist who has had such success abroad.” That year, she joined the troupe of the Montreal Opera Company, which had been founded in 1910 by Frank Stephen Meighen* and Albert Clerk-Jeannotte. The company went bankrupt in 1913, and in November she moved to the Century Opera House in New York, but the uncertain climate created by the war in Europe led her to return to Montreal at the end of 1914. Teaching in the studio that she and her husband had opened in 1911 now became her focus. She gave a final recital with Salvator at the Ritz-Carlton Hotel in Montreal on 14 Nov. 1919. The program included works by Fauré, Saint-Saëns, Mozart, Grétry, and Debussy, as well as the famous love-duet “Duo de la rencontre” from Massenet’s Manon. She died prematurely on 8 Jan. 1921 at the age of 42. The funeral was held four days later in the church of Saint-Léon in Westmount. Béatrice La Palme was the first Canadian female singer after Emma Albani to make a name for herself on the European and American musical scenes. She was remembered by her many students – including Camille Bernard, Graziella Dumaine, and Flora (Fleurette) Contant (a daughter of Alexis Contant) – as a great artist, demanding teacher, and warm person. 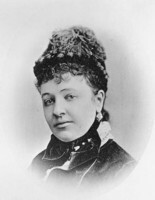 She and her husband were pioneers in establishing a vocal school in Quebec. Salvator Issaurel continued to teach until his death in 1944. It was in his studio that Pierrette Alarie and Léopold Simoneau, two singers who would have international careers both individually and as a couple, first met. ANQ-M, CE601-S49, 28 juill. 1878. Le Devoir, 10, 12, 15 janv. 1921. La Presse, 10 janv. 1921. Encyclopedia of music in Canada (Kallmann et al.). Romain Gour, La Palme-Issaurel; biographie critique (Montréal, 1948). Hélène Paul, “Béatrice La Palme (1878-1921); une superbe voix au service de l’enseignement du chant lyrique,” in Ces femmes qui ont bâti Montréal, sous la dir. de Maryse Darsigny et al. (Montréal, ), 168-70. Marie-Thérèse Lefebvre, “LA PALME, BÉATRICE (Issaurel),” in Dictionary of Canadian Biography, vol. 15, University of Toronto/Université Laval, 2003–, accessed April 24, 2019, http://www.biographi.ca/en/bio/la_palme_beatrice_15E.html.